Mike Watson Wins €50,000 Majestic High Roller (€1,000,000)! And that's a wrap here at the 2012 World Series of Poker Europe for the €50,000 Majestic High Roller. Emerging victorious from the 60-entry field is Mike Watson for a cool €1 million! This field attracted 49 players with 11 rebuys being added to the prize pool. 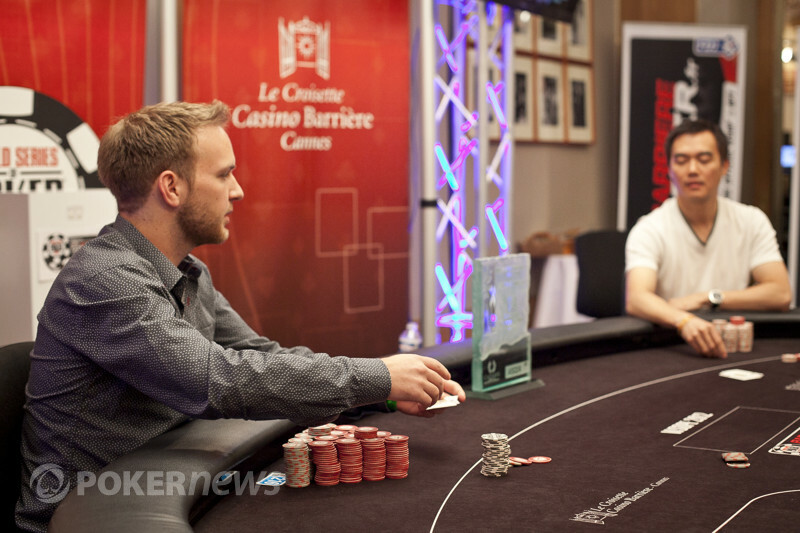 A buy-in of €50,000 was required for each entry, and a prize pool of €2.88 million was generated. With the top eight spots set to pay out, Day 3 was not only going to see a winner crowned, but also the bubble burst. 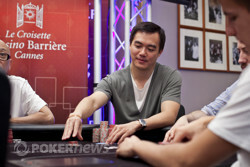 Nine players came back for Day 3, but unfortunately for Winfred Yu, he would be the last one leaving empty-handed. On his final hand, Yu lost with pocket eights versus Philipp Gruissem's thanks to a ten on the river. With the final eight all guaranteed at least €115,000, it was time for eliminated players to hit the payout desk. First to go was David Benefield, then Steve O'Dwyer, Jani Sointula and Tobias Reinkemeier in that order. After Reinkemeier headed out the door, fellow German Gruissem hit the rail before play continued for a little bit longer three-handed and the players went on a 75-minute dinner break. At the break, Watson held the chip lead with John Juanda in second place and Richard Yong in third. The food must have had some extra spice in it for Yong as he came back from dinner in a fury. Within a few hands, Yong had the chip lead and was mashing away. But then, he picked up ace-king on back-to-back hands and doubled up both of his opponents, one after another; first Watson, then Juanda. That left Yong as the short stack once again and he was bounced from the tournament shortly thereafter. When heads-up play began, Juanda had 4.83 million in chips to Watson's 4.17, making things fairly close. Juanda inched out at first, but then a massive collision of stacks occurred. Juanda held the versus Watson's dominated , but a jack on the turn gave Watson just the ingredient he needed for the double up. With that pot, Watson took a huge lead and knocked Juanda to under ten big blinds. Things didn't last long from there. On the final hand, Watson put Juanda all in with the , and Juanda called with the . The flop, turn and river ran out and Watson had done it. He secured the victory while Juanda was left with a not-so-shabby payday of €600,000 for second place. That wraps up the PokerNews coverage from this Majestic High Roller, but there's plenty of action still going on here in Cannes with the Main Event. Be sure to check out the WSOP Europe Main EVent coverage here. Mike Watson put John Juanda all in from the button, and the latter called after looking at his hole cards. The board ran out , and John Juanda was eliminated! Mike Watson claimed the title and the €1,000,000 first-place prize! On the button, Mike Watson raised to 240,000 before John Juanda reraised to 750,000. Watson tanked for a minute or two, then reraised all in. Juanda perked up and called holding the . Watson was behind and dominated with the . The flop came down to keep Juanda in front. Watson didn't find much help, but did pick up one club to give him runner-runner flush options. The turn was the and just what Watson ordered as he came from behind to pair his jack. The river completed the board with the and that was it. Watson was all in for 3.9 million at the final count of his chips, and he doubled to a massive chip lead. Juanda was left with under ten big blinds. Mike Watson raised to 240,000 and John Juanda called from the big blind. The flop came down and both players checked. On the turn the hit and Juanda bet 240,000. Watson called, and the river was the . Both players checked again and Juanda showed . Watson tabled his , and he took down the pot. Juanda is still up since the start of the heads-up match, but Watson has regained some grip. "We don't have Jason [Mercier] getting in the way this time," said Mike Watson to John Juanda. Juanda laughed. What Watson was citing was the fact that Watson took third in the 2008 European Poker Tour London £20,000 High Roller behind Juanda, who placed second, and the winner Mercier. 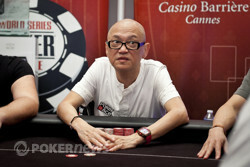 After Mike Watson folded from the button, Richard Yong raised all in from the small blind for 385,000. "Sh*t, this is a really bad hand," said John Juanda when he looked at his cards. "How much more is it?" Juanda got the count of how much more, then said, "I guess I have to," and tossed in the call. Juanda held the and was up against the for Yong. On the flop, the fell, and Juanda added a pair of jacks. Yong wasn't out of it yet, as he picked up a straight draw. The turn brought the , which left Yong needing just a nine on the river to double up. One last burn card, then the landed and officially eliminated Yong in third place. He earned €400,000 for his finish while Watson and Juanda were left to battle for the title. On a flop Richard Yong checked. John Juanda was on the button and he moved all in. It took Yong five seconds to make up his mind, and he made the call. On the turn the hit, and Juanda took the lead. The river was the , and Juanda doubled up. Yong was left behind with very little chips. Mike Watson and John Juanda heads up for the loot. 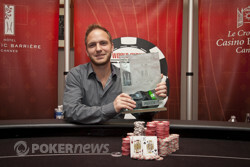 Mike Watson, winner of the 50k Super High Roller. John Juanda knows he has finished second.